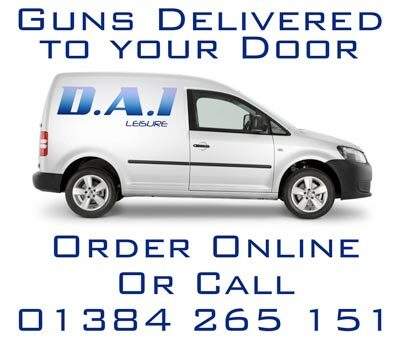 DAI Leisure are pleased to offer our 'Gun Delivery Service'. When a customer buys a gun from our website or over the telephone we can now deliver it straight to their door anywhere in Bedfordshire as well as the rest of England & Wales. As an RFD, we can deliver these items directly to your front door if you live in Bedfordshire or anywhere in England and Wales. DAI offer this personal to your door delivery service of Airguns for the competitive price of £19.95. (*Your Total Order Value must exceed £250). You can order your airguns, air rifles, air pistols, shotguns, rifles and ammunition online in the UK if you live in Bedfordshire including Ampthill, Bedford, Biggleswade, Cranfield, Dunstable, Flitwick, Houghton Regis, Leighton Buzzard, Lower Stondon, Luton and Sandy.